Local anesthetic is normally used to eliminate discomfort during a dental procedure. The word “local” means that it is used in close proximity to the area being treated. A local anesthetic will temporarily disconnect signals from nerves, essentially “numbing” any pain. Local anesthetic is typically given by injection. While patients may be familiar with the drug Novocain, there are several other local anesthetics in common use in dentistry today. Certain local anesthetics contain ingredients (called vasoconstrictors) used to reduce localized bleeding for surgical procedures. This also helps to keep the local anesthetic confined to the area of the dental procedure, reducing their potential to cause issues in other parts of the body. Many dentists use a topical numbing gel, applied to the soft tissues overlying the nerve(s) to be put to sleep. This is done to minimize discomfort from the needle stick. If the topical anesthetic is swallowed, the throat can become numb (the type of sensation produced by a cough drop) temporarily. Some patients find this unpleasant. Topical numbing agents can also cause sensitivity in teeth with exposed roots or cavities that are near the site of application. For most, however, the topical gel makes injection of the local anesthetic much more comfortable. Some dentists use a technique called gate control to make injections reasonably pleasant. Basically, this involves wiggling the lip or cheek vigorously immediately prior to inserting a needle into the tissue. The nerves are stimulated by the wiggling, and it takes them a couple of seconds to be able to re-fire. Because of that the needle stick goes largely un-detected by the patient. 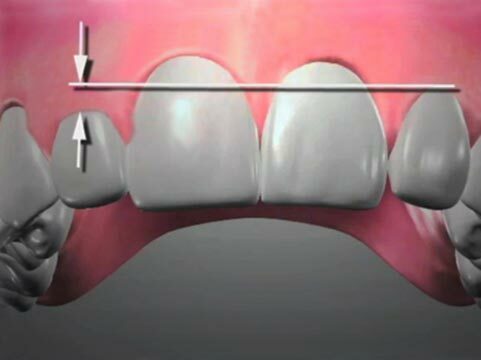 In general, upper (maxillary) teeth are easier and less painful to anesthetize than lower (mandibular) teeth. This is mainly due to the fact that the maxilla bone is a less dense bone than the mandible, and the nerves that run through it to the upper teeth can usually be put to sleep with fairly superficial injections applied near the tooth (or teeth) to be treated. 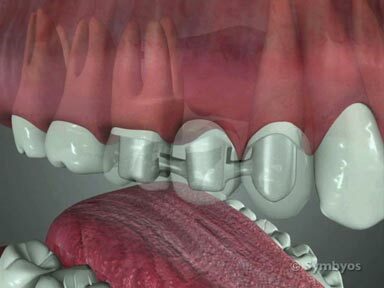 Anesthetizing lower molars can be more difficult, due mainly to the depth of the injection required to put the inferior alveolar nerve (supplying sensation to all of the lower teeth) to sleep. Also, a certain percentage of people will have accessory (extra) innervation to lower molars, typically from the floor of the mouth, and may not be completely anesthetized by an inferior alveolar nerve block. 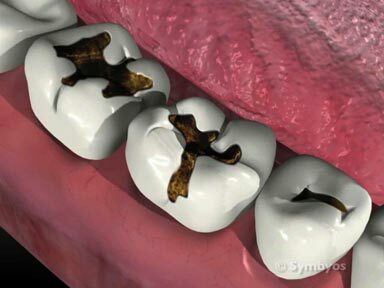 Chances are, if you’ve had difficulty “getting numb”, it was probably on a lower molar. Before injecting the anesthetic into areas where large blood vessels (especially arteries) are located, the dental provider will draw backward on (aspirate) the syringe to see if any blood enters the syringe. If so, the provider will typically withdraw the needle and re-angulate it for insertion to avoid the vessel. Some people perceive this as multiple injections, and may be irritated by it. However, it is normal, and generally does not add to the discomfort if done slowly and gently enough. Providers who do this are being considerate, not indelicate. Once the injection is given, the teeth and soft tissues will begin to lose sensation immediately, and the dental procedure can usually be started within moments. Depending on the type of anesthetic used, the anesthetized area may not regain its sensation for several hours after administration. Unless local anesthetic reversal agents are administered, there is no way to accelerate the return of normal sensation, so you should not bite or pull on the cheeks or lips to try and stimulate it. Doing so may result in discomfort later on, when the area does regain sensation. Modern disposable needles have made injections all but undetectable, because they are always sharp. In earlier times, needles were sterilized and re-used, and required sharpening. If a dentist didn’t sharpen them frequently enough, they could be quite uncomfortable to get through soft tissue, helping to perpetuate the bad reputation of dental injections. Even today, a disposable needle remains sharp enough to penetrate the tissue comfortably only a few times before it should be discarded. Another way to make injections more comfortable is to dispense the anesthetic solution slowly, over a period of approximately one minute per injection. Rapid injections may seem desirable, but are actually more uncomfortable because the anesthetic needs time to absorb into the tissue to anesthetize it. If the anesthetic is dispensed ahead of the needle, and the tissue is allowed to lose sensation before the needle is inserted further, a comfortable injection results. Computer-controlled anesthetic delivery systems are becoming more popular because of their non-intimidating pen-like appearance, and nearly imperceptible delivery of the numbing agent.